There was a pile of old decaying wood near our cabin in the woods. I wanted to clean it up because it looked like an inviting place for snakes. I decided it would be the perfect spot for an herb spiral. 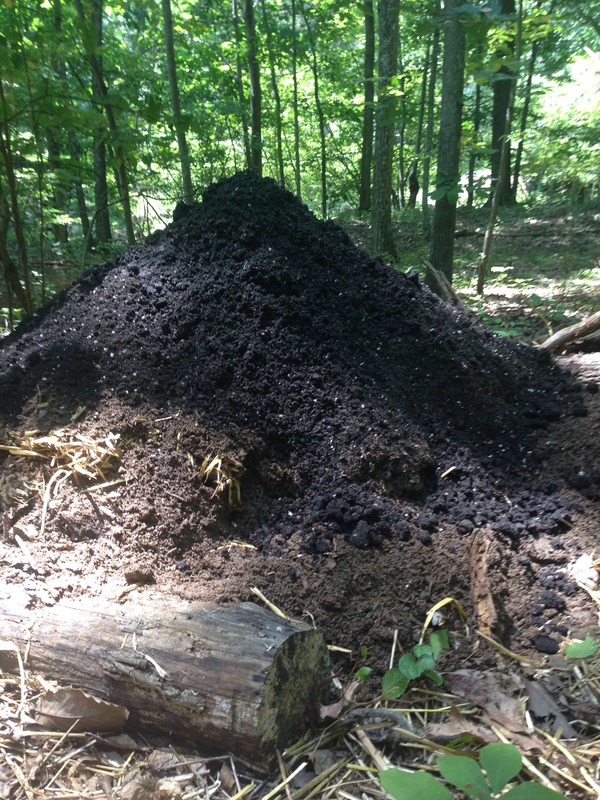 I consolidated said logs to a smaller and taller pile, added straw, top soil, and finally potting soil. 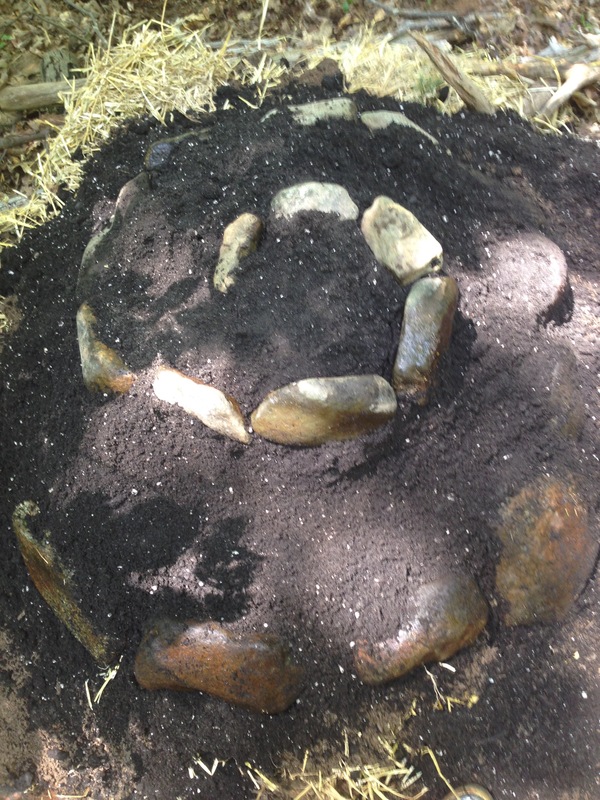 After collecting the rocks from the creek I made the spiral. 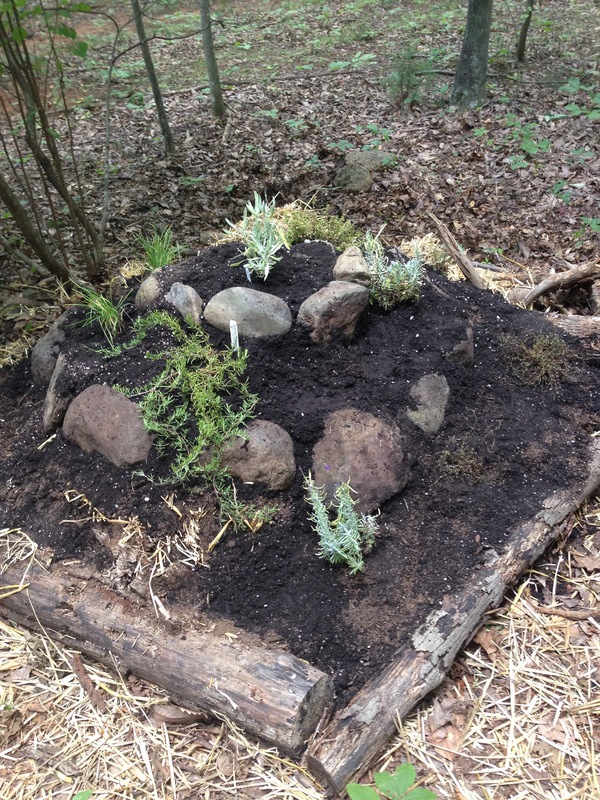 I planted some perennial herbs and some annuals by seed.